We connect, focus and manage your social media to generate new sales. Today people are having conversations online about every aspect of their lives, from products and services they use, to the entertainment they enjoy, to everyday issues that face them in life. They share content like pictures, videos and special offers that interest them, give referrals to services they enjoyed using and provide meaningful feedback about experiences they have had. 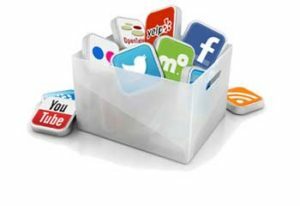 Social media marketing allows your company to be part of these conversations that impact your products and services. Not only do you get to engage and share your company’s message with your target audience but your message is also seen by your followers’ extended network which continuously expands your reach across a vast audience of potential new customers. Social media monitoring does more than just watch your online reputation by tracking your competitors in the social space it can also be used as a stealthy business intelligence tool. Everything you can learn about your company through social conversations you can learn about your competitors as well. Lead Discovery’s social media services helps you create an end to end social marketing strategy which leverages lessons learned and your audience’s feedback into customer driven pay per click, web design, search engine optimization and content marketing campaigns. Our social media service will identify, monitor, analyze and engage your audience with targeted keyword driven content and then prove your social campaign’s positive ROI through rich analytics. Social Media Marketing has been a difficult opportunity for businesses to take advantage of and this can be frustrating since we all know millions of people are using social media each day. Lead Discovery fully understands this space and has proven tactics that will finally turn your social outreach into new prospects and sales. Let us conduct a free social media review for your business and show you the potential social media marketing.